Avdou village is far from the coast and lies 33 km from the city of Heraklion, right at the foot of the Dikti mountain range. Avdou has about 600 inhabitants whose main activity is agriculture and they are noted for their hospitality. In Avdou you can find conventional tourism facilities, such as rooms, apartments as well as eco-tourism facilities. There are also historical sites like an early-Christian basilica, churches with frescos and many sites of natural beauty such as the caves of Agia Fotini and Faneromeni. Transportation to Avdou is done either by bus service from Heraklion, taxi or hired car. 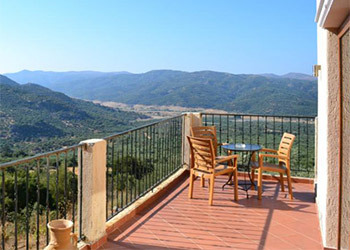 Hotel Velani is located in the village of Avdou with beautiful views to the countryside. This hotel features a restaurant and a cafe, as well as a horse-riding center. All rooms are airconditioned with a balcony or a patio. Taste the traditional cuisine of Crete in the hotel's restaurant or enjoy a drink or coffee in the bar's terrace.